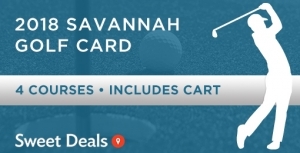 Starting Tuesday, get half off the 2018 Savannah Golf Card! 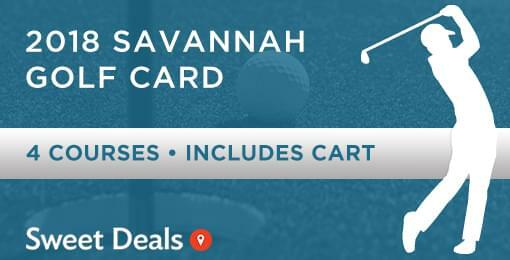 Golf at 4 great courses, plus cart for one low price. Only $75 for a $156 value! Card is good all year. It’s the perfect Father’s Day present! 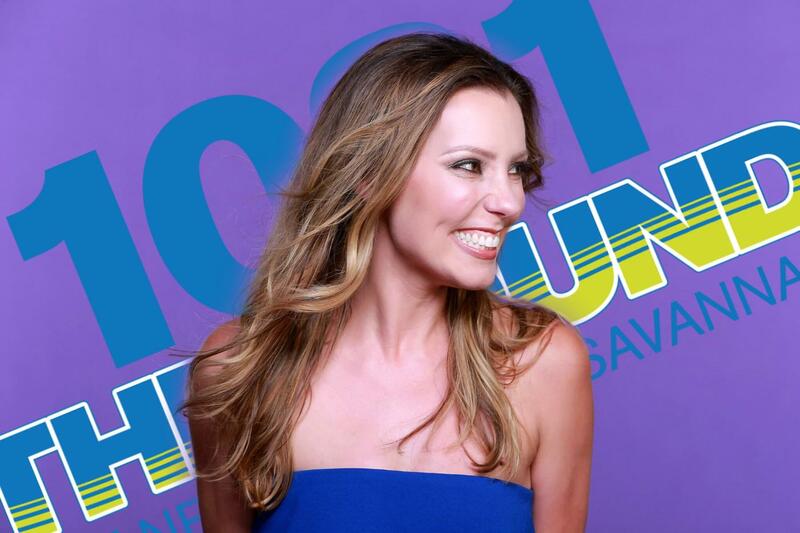 The open, parkland style design is challenging and fun to all skill levels. With no homes on the course, your round will not be hindered by narrowing fairways and curious onlookers. The unique par 72 course layout features five par 5′s and five par 3′s — designed to provide an exceptional golf experience for all levels of play. A choice of five different tee combinations make the course both enjoyable for the occasional golfer and highly challenging for the avid golfer. Undulating Tifeagle greens and rolling, well-bunkered Bermuda fairways combine with streams, ponds and marshes to delight the eye and enhance the enjoyment of the game. Henderson Golf Club is an 18-hole championship course located in Savannah, Georgia playing up to 6,700 yards. The par 71 layout has all the characteristics of an old southern golf course. Golfers will be treated with breathtaking views of centuries old live oaks, artistically draped with Spanish moss, pristine wetlands, towering pines and magnolia trees. Players will find the front nine holes open and rolling like a traditional links course, while the back nine offers tree-lined fairways in a natural setting. The 18-hole Taylors Creek Golf Course facility in Fort Stewart features 6,544 yards of golf from the longest tees for a par 72. The course rating is 69.9 and it has a slope rating of 119 on Bermuda grass. Taylors Creek Golf Course opened in 1961. The front nine holes are more generous to the golfer before coming upon the back, which takes a little more precision. Taylors Creek Golf Course is truly a gem among courses and yes. this course is open for all to enjoy. The 18-hole Hunter Golf Club in Savannah is a military golf course that opened in 1956. Designed by George Cobb. Hunter Golf Club measures 6518 yards from the longest tees and has a slope rating of 120 and a 72.1 USGA rating. Hunter has hosted the annual collegiate golf tournament for 13 years welcoming such schools as Harvard, Yale, UNC Wilmington, Seton Hall and many others. Hunter Golf Club was designed to provide an exceptional golf experience for all golf levels. The course features four sets of tees to accommodate all different skill levels. Hunter Golf Club is very special and yes, this course is open to the public.